Senior Fellow, International Centre for Trade and Sustainable Development (ICTSD); Senior Fellow, C.D. Howe Institute; Adjunct Professor, Queen’s University; Chair of Statistics, Canada’s Advisory Committee on International Trade Statistics; Faculty member, Carleton University’s Norman Paterson School of International Affairs. 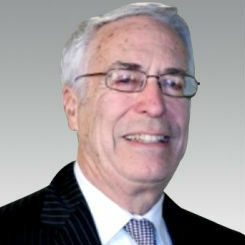 Former: Distinguished Fellow, Centre for International Governance Innovation; Founding Chief Economist, Department of Foreign Affairs and International Trade, Government of Canada; Founding Chair of the Economic Committee, Asia-Pacific Economic Cooperation (APEC); Economic policy positions in several departments of the Government of Canada. Career has focused on all aspects of international trade, most recently the relationship of trade to the domestic economy, particularly in the field of intellectual property, innovation, and competitiveness. PhD in Economics, Harvard University.